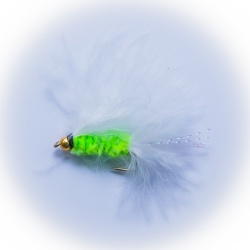 BOOBY NYMPHS Booby fly-fishing flies have revolutionized many aspects of deep water trout fishing.. Booby flies have a unique action all of their own when retrieved in short, sharp movements. Use a retrieve, pause, retrieve pause method. On the retrieve the booby fly sinks but on the pause it floats up. It is an action that is lethally attractive to rainbow trout. Fish them on a fast-sinking line and an ultra short leader. In this way the Booby nymph fly can be presented just above the bottom, where the fish are often lying during early season. 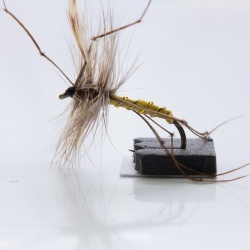 In the 1970's Gordon Fraser, created the Booby nymph fly pattern for use on Eyebrook Reservoir in Leicestershire, central England. . 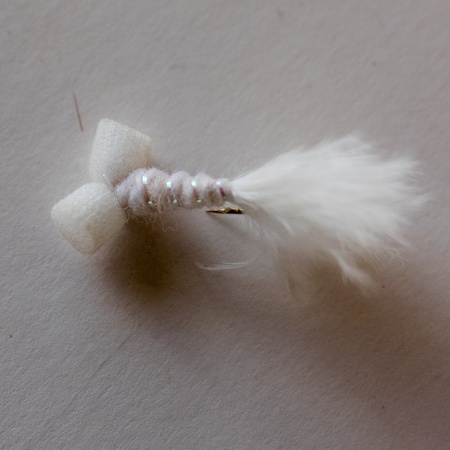 Originally Gordon used polystyrene balls attached to the hook by trapping them in pieces of white nylon mesh from a pair of ladies stocking or tights. 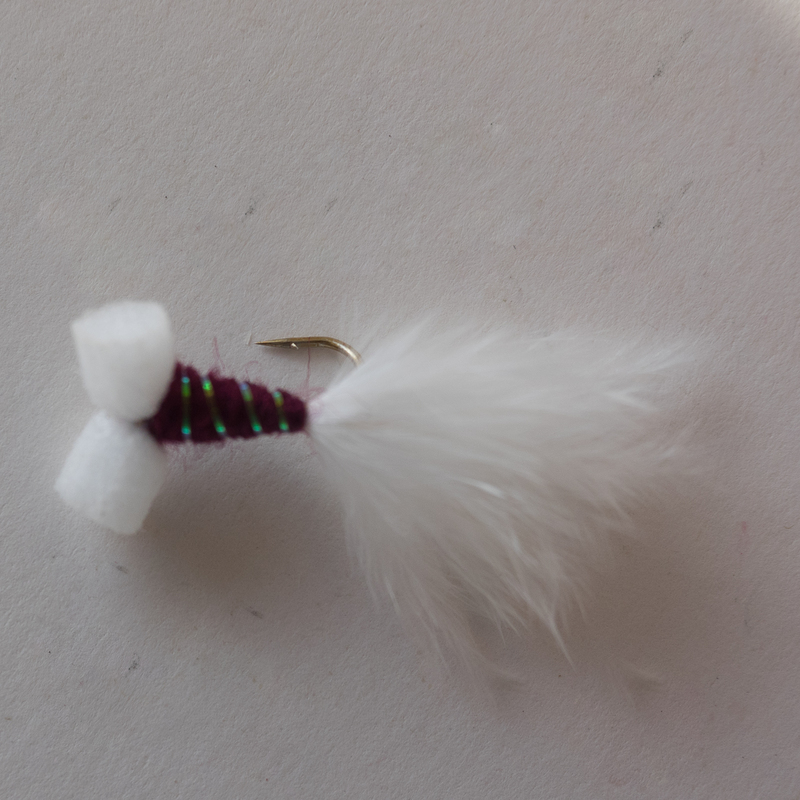 The mesh was tied to the hook. they were secure but suffered from crushing in the trout's mouth which reduced buoyancy. The Booby fly pattern has been used to good effect at all levels of the water column. In fact Gordon Fraser originally used his booby nymph on both floating and sinking lines. A booby also works great as a disturbance pattern.